When’s the last time you felt lucky? 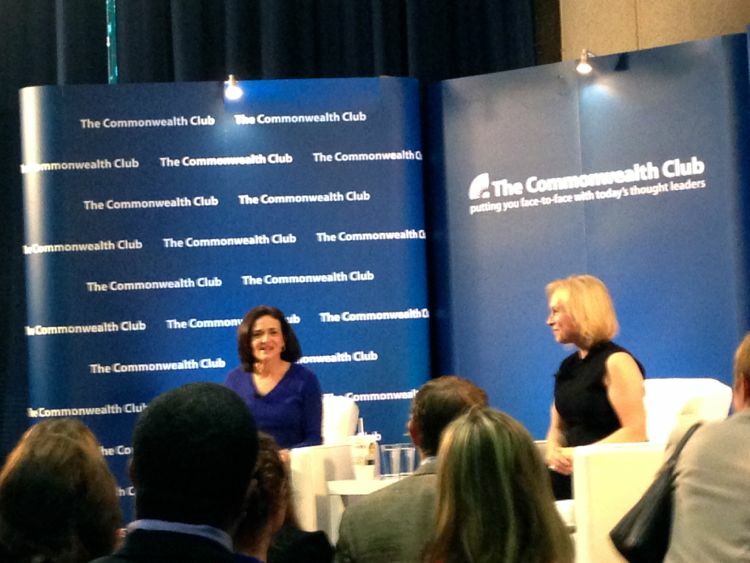 For me, it was last Wednesday when a friend of a friend invited me to a CommonWealth Club event where Sheryl Sandberg was scheduled to speak with Senator Kirsten Gillibrand about her new book “Off the Sidelines, Raise Your Voice. Change the World.” Of course, I accepted the invitation without pause. After all, there’s nothing quite like eavesdropping on a conversation between two phenomenal women that gapmuse and I’m sure most of you truly admire. Though a short discussion (all of 45 minutes at most, including a small Q&A session), I came away not only empowered and inspired, but also galvanized to continue supporting girls and women in every possible way. We hope that sharing this experience will do the same for you too. Loved this! Encourage women to dream big and to ask for what they want! 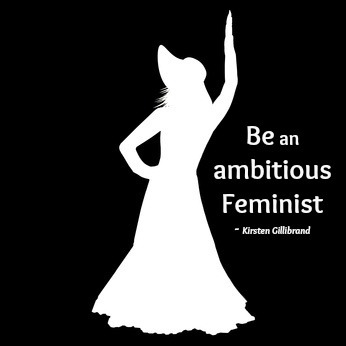 Don’t be just a feminist, be an ambitious feminist! In this day and age when you still have a CEO of a major tech company telling women that they don’t need to speak up because the system will take care of them (really! ), this message could not have come at a better and critical time. You don’t have to spend hours and hours with your mentors and sponsors. Snippets are enough to steer you in the right direction. You can be mentored in as short as 90 minutes! For instance, despite spending very little time with Secretary Hillary Clinton, Kirsten received invaluable mentorship from her in bits that played a significant role in her political journey. In addition, always remember that a mentor can be anyone as long as they own their ambition and know what they want to be. A 10 year old can mentor a 6 year old because they’ve been there before. It’s that simple! Dispose of the notion of “having it all” and support women to be able to “do it all.” How? It’s okay to aspire to someone else but do not try to be them. You have your own unique strengths and only by staying true to yourself will you achieve greatness. When you shift your focus from you to your cause/s, you have a better chance to succeed because you are less likely to take things personally. This is especially true when things don’t go as you anticipated or get distracted by life’s challenges. You’re more likely to pick up the pieces and do whatever it takes to make it work. In some cases, your cause can become your coping mechanism when you’re going through difficult times in your personal life. I’m a true testament to this last point. This blog was born at a very tumultous time in my life. Creating and launching it and finally doing what I believe is my true calling – educating, empowering and inspiring young women – was therapeutic and helped me get through it. We all know that we’re visual beings. Surround yourself with people who share the same values and aspirations. Find people who are willing not only to guide you, but also to support you through your journey. Lead by example. It’s that easy! Some of these key points seem so intuitive but often times we get so wrapped up in our busy lives that it’s good to remind ourselves how to dream big, stay hungry, and succeed. I can hardly wait to read Senator Gillibrand’s book and to share in her personal journey in public service. I have no doubt that I’ll come away energized and even more motivated to be an ambitious feminist! Over to you!